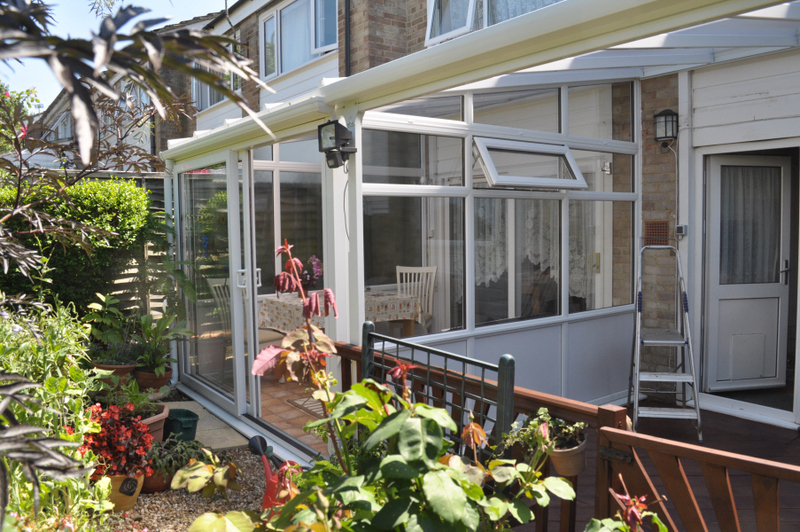 "professionals at 50plus never let you down"
Just three examples of the type of work undertaken, the conservatory was undertaken by a chosen sub-contracter, the canopy, lighting, power, decking and railings by 50plus handyman. 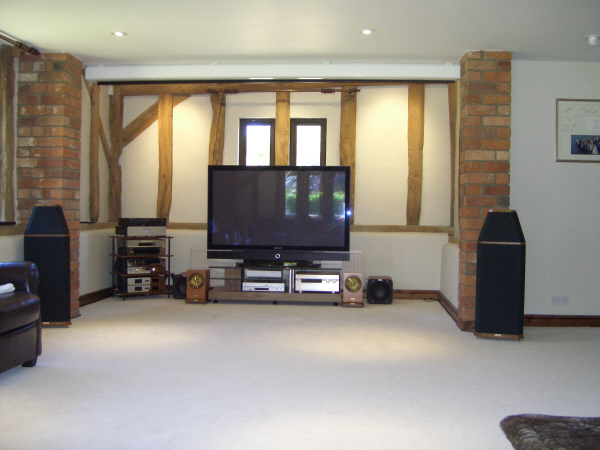 Home cinema and Hi-Fi, all equipment supplied and installed by Restek UK. 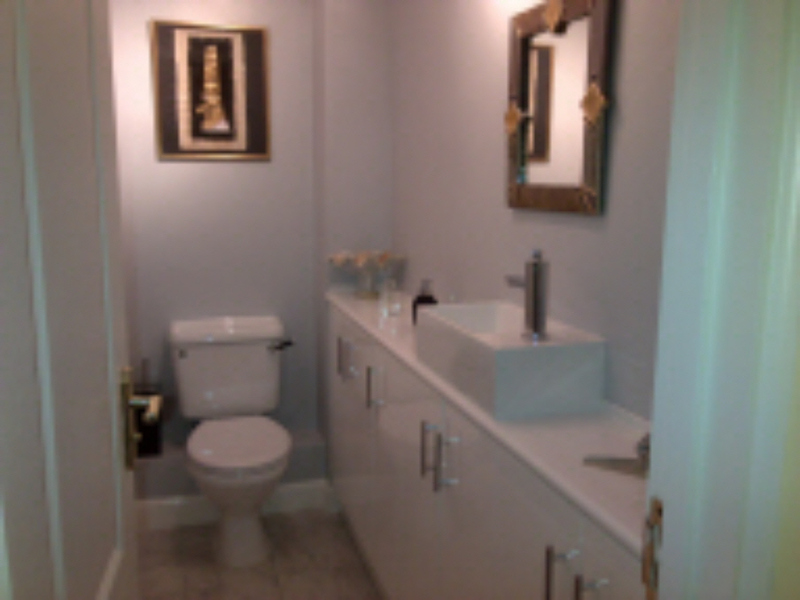 Cloakroom bespoke cabinets and installation by 50plus handyman. Not all jobs are as involved as these, we will undertake anything from a replacement tap washer to a complete bathroom refit, changing a light fitting to a home rewire. No job too small. 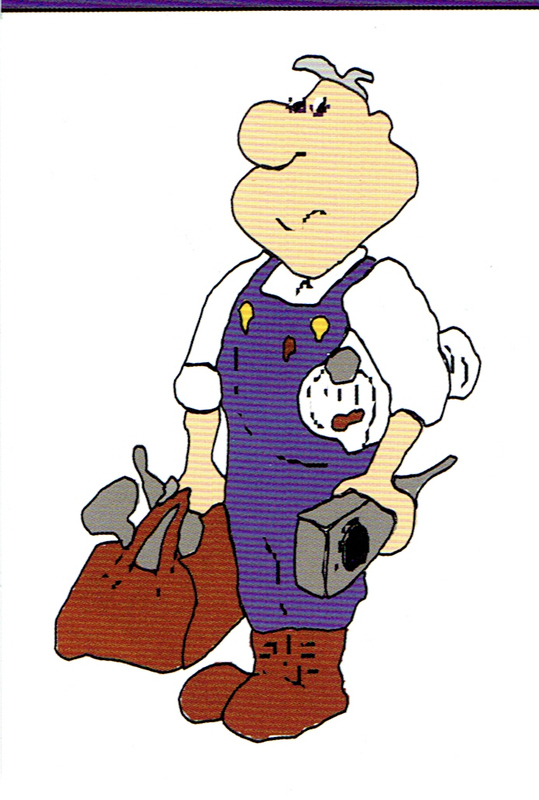 Restek UK was established in 1989 specialising in home entertainment and home automation, 50plus handyman was established about the same time, as a vehicle to employ mature tradesmen nationally- offering experience and reliability to all age groups requiring home maintenance help. It employs a regular workforce and a number of franchisees to offer a nationwide service to individuals and companies, electrical, plumbing and a whole lot more. Whether it's a TV that needs installing, a bathroom that needs an upgrade, bedroom re-decorating, bespoke cabinet, elctrical safety check, in fact just give us a call, if it's not in our remit we will say.